Big rigs, tractor trailers, and other commercial trucks require a lot more space to make wide turns when compared with passenger cars. 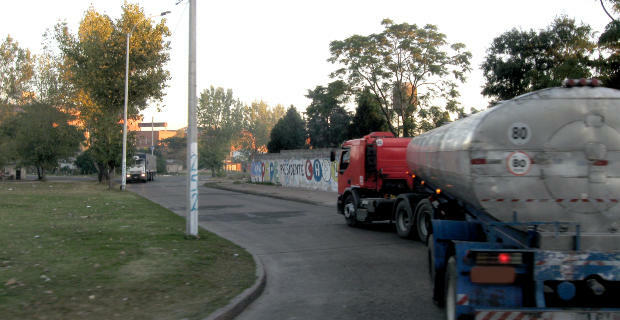 When making a right turn, these trucks must swing left before completing a right turn. This sometimes awkward-looking maneuver gives enough space for the trailer and the cabin to turn. The problem is that when the truck swings a wide left, some motorists take the opportunity to try to pass the truck along the right. This places the smaller vehicle directly in the driver’s blind spot and traps the car between the curb and the truck. When the truck completes its turn, the smaller vehicle can be crushed in what is known as a squeeze play truck collision. Unfortunately, squeeze play truck collisions in Homestead and other Florida communities are all too common and completely preventable. In almost all cases, this type of collision occurs because a passenger car driver tries to pass a large truck when they shouldn’t. If you see a truck trying to negotiate a turn, give them room to complete the turn and make sure that the driver can see you in their rearview mirrors. If you cannot see the driver in their rearview mirrors, chances are good that you are in a blind spot. It is very common for these types of collisions to lead to permanent injury or disfigurement. What is worse is that in many cases the person who is injured it is the one who is accused of causing the accident. Under Florida law, the negligent or liable party is responsible for compensating victims for medical care, lost wages, property damage, and other damages. Truck companies and carriers will sometimes blame the car driver for causing the collision. However, in some cases the truck driver may be liable for these injuries. Truck drivers have to undergo extensive testing, retesting, and training to carry a commercial driver’s license. Part of that training involves knowing how to make a safe turn. If drivers fail to follow their training and fail to check their blind spots before making a turn or if they are speeding on a turn, they could be held liable for causing damages. If a driver swings too far to the left, they can also be held liable. In some of squeeze play cases, road design can also play a factor. For example, a lane or street may be too narrow or may have incorrect markings, which can lead to a collision. If this is the case, the injured plaintiff may also have a claim against the municipality where the collision took place. If you are injured in a squeeze play collision, contact Flaxman Law Group. Our compassionate and trained legal team can offer legal advice and representation and can keep you apprised of your case. Your first consultation with our law firm is free and comes with no obligation, so contact us today to get a legal opinion about your potential case.